At January’s Texas State Board of Education (SBOE) meeting, the purpose of agenda item #10 was to discuss statewide academic standards for the teaching of Mexican American Studies (MAS) in Texas public schools. Currently, MAS is taught across the state, but no statewide standards exist. A standardized curriculum would provide guidance for the significant number of MAS courses taught in Texas and for publishers to write textbooks according to these standards. Immediately following the testimony of several professors, teachers and experts, a cadre of SBOE members dismissed the preceding testimony and directed the conversation away from MAS standards to discuss “Latino Studies.” Born out of a history of political activism and a struggle for equity, MAS is a field that examines the historical and cultural contributions of indigenous, Mexican, and Mexican American peoples. In contrast, Latino Studies looks generally at the experiences of Hispanics in the U.S. A shift from MAS to Latino Studies would mean the civic engagement, activism and the transformative aspects of MAS would be lost. Through this redirection away from MAS, the SBOE signaled that it would support Latino Studies standards at the upcoming meeting. If standards for a Latino Studies course are approved, this would signify the end for MAS course standards in Texas, as future efforts would be met with the response that standards for a Latino Studies course that include MAS already exist. A vote for Latino Studies would eliminate, by design, the rich historical and cultural content offered by MAS as well as its benefits to students. This possibility did not stop SBOE members from maneuvering the discussion to engineer, in an ad hoc manner, a replacement for MAS. A vote for Latino Studies standards would be no small substitution of curriculum. The looming threat of a Latino Studies vote is a rejection of thousands of MAS advocates, Mexican Americans and most importantly the students of Texas. Unlike Latino Studies, still in its infancy by comparison, MAS is an expansive academic field that is 50 years old, is sanctioned by the Texas Higher Education Coordinating Board, is an area of study that maintains centers, departments, initiatives, journals, and organizations and holds state and national conferences. In Texas, a coalition of educators has worked diligently for the past five years to institute standards for MAS courses taught in Texas. While a few SBOE members maintain that Latino Studies would be “inclusive” of other Latino groups, the truth is that the presence of other Latino groups in Texas is a relatively recent occurrence and one that cannot be understood without first understanding the Mexican American experience. This explains why, in contrast to Latino Studies, MAS courses have been offered in Texas schools for decades. In practice, the inclusion of other Latino groups already takes place. 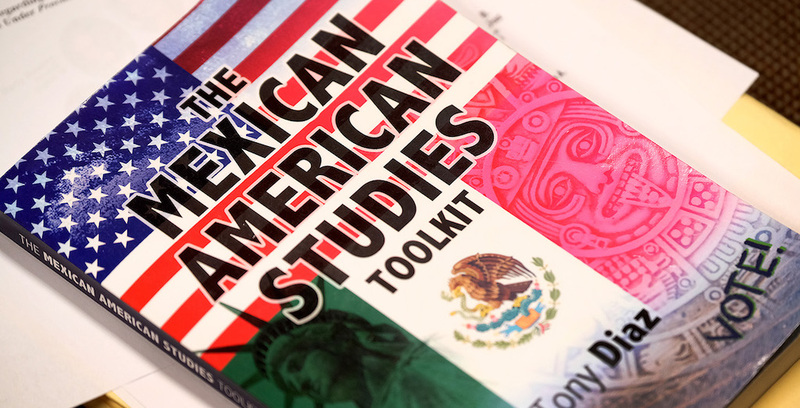 MAS courses in public schools, colleges and universities incorporate Latino Studies within the curriculum including material related to other ethnic groups in Texas and the U.S. It is the history of activism, the affirmation of a minority cultural identity and the threat of political engagement among Mexican American students and all students that has some SBOE members fearful that MAS standards will produce an identity-affirming curriculum. Call it what you will, but a denial of MAS standards in Texas looks an awful lot like the perpetuation of historical and cultural oppression. The SBOE must provide standards that allow school districts to create MAS curriculum should they decide to offer a MAS course or to streamline the course already in place. 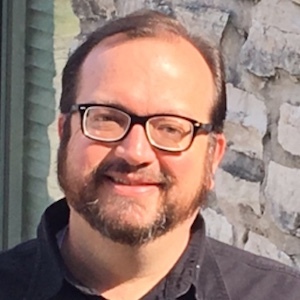 Given the longstanding presence of Mexican-origin people in Texas, it is preferable to create standards for the proposed MAS course with Latino representation over an excessively broad, non-research-based, untested Latino Studies alternative for which no curriculum exists and for which few, if any, courses are taught. The course infrastructure for MAS is long-established and would be considerably less difficult to implement and less costly given the number of MAS courses taught in Texas. Studies from education researchers Nolan Cabrera (Missing the student achievement forest for all the political trees), Thomas Dee and Emily Penner (Causal effects of cultural relevance), and Francesca Lopez (Culturally responsive pedagogies in Arizona and Latino students) confirm the positive outcomes for students taking MAS courses in public schools. Their research shows significant reductions in the achievement gap as well as openness to members of other cultures regardless of the students’ ethnic or racial background. A rejection of MAS therefore amounts to the denial of a course that promotes academic success for all students. MAS boosts academic success precisely because MAS connects students cut off from mainstream curriculum. MAS provides students with a curriculum of liberation. A Latino Studies course, even if inclusive of MAS, would be too broad and too shallow to explore the types of questions surrounding identity, equity and inclusion that are fundamental to MAS. To include MAS in a Latino Studies course would be like covering Texas History in a World History class. The transformative aspects of the MAS curriculum would receive short shrift, if covered at all, and would be rendered ineffectual. A replacement with Latino Studies material is neither a compromise nor a win-win as there is no Latino Studies coalition calling for the creation of standards. In this case, the groups at odds are those who favor MAS versus SBOE members bent on denying MAS to Texas students despite Texas’ unique history, our strong demographic representation of Mexican American youth in our schools and a successfully proven curriculum. MAS advocates have fought too long and hard for a scholar-vetted, standards-aligned course to see it relegated to the dustbin of history. Our indigenous, Spanish, Mexican and Texan histories form important aspects of our culture and must be acknowledged and studied. Our place in Texas and our uniquely Texan and Tejano character requires nothing less than MAS standards. The SBOE must reflect carefully before making a decision whose outcome would be the deliberate and continued denial of our people, our history and our culture. The University of Texas has been a financial supporter of The Texas Tribune, a nonprofit, nonpartisan news organization that is funded in part by donations from members, foundations and corporate sponsors. Financial supporters play no role in the Tribune's journalism. Find a complete list of them here.